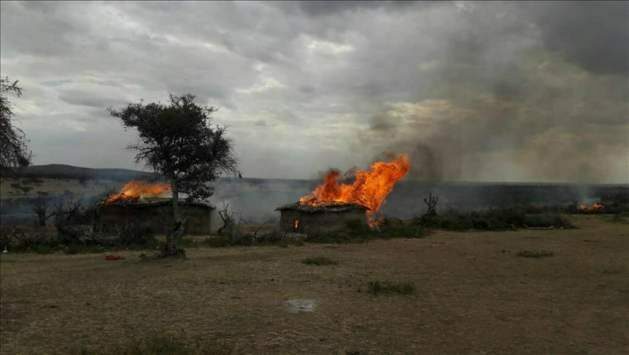 Over the last few weeks, we have received reports of bomas on fire, herders shot and cattle displaced in Loliondo, a remote rural region bordering the Serengeti in Tanzania. We had not heard anything directly from our partners, but that was not a big surprise; Many of those we work with have faced intimidation and threats over the years, been routinely arrested and/or had their passports confiscated. They have learnt to keep their heads down. When one visited last week I was able to quiz her and she confirmed that several thousand people had been made homeless, had their property destroyed and been left without shelter, food and water. Thousands of cattle had also gone missing, or been stolen. Forced evictio ns began on Sunday 13th August but it was not until the following Thursday that ministers met with press to explain what was going on. Despite such a move being illegal, they had begun, they explained, ‘a 14 day operation to ensure no more human activities’ within the long- disputed area containing 8 villages in Loliondo from Ololosokwan village in the north to Piyaya 90 km further south. According to legend, cattle were entrusted to the Maasai by the sky God, Ngai. They are sacred. It is usual for a man to lie down next to a cow he must part with, to whisper and cry and say goodbye. Cattle are everything; a way of life, a currency, a status symbol, a source of food, drink, ritual, leather and dung, and also, I am told, great company. When I visited Tanzania in March I confessed to a few people that my husband and I have no cows. The reaction was always the same; nervous laughter followed by incredulity and then genuine pity. 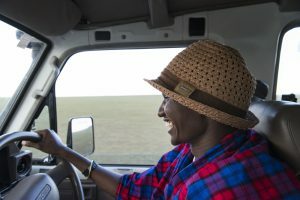 Although most Maasai now use some money, until fairly recently livestock were the only currency needed and a healthy cow or goat is still respected and trusted much more than a pocket of notes and coins. After just a few days, the idea of livestock as currency makes perfect sense; they provide you with all you need – turning inedible thistles and weeds into milk to drink where there is no water for miles and if you look after them, they will multiply. Calves, kids and lambs can also be swapped for maize flour, beans and cloth, or, when necessary, killed for their meat. Everyone I met had an incredible knowledge of wildlife – both animals and plants. They know which plant is for ‘flu, which for diarrhoea, which for Malaria. This way of life has lasted for hundreds of years. But it is seriously under threat. “Sopa! Eh…. Mvua Ilinyesha!” he shouted from the jeep window. One or two stopped playing to shout excitedly back at him and then they carried on with their game and Katibu drove off, grinning. I asked what it was all about. “I just said ‘Hey look at you! Now you can play, now the rains have started.’” said Katibu cheerfully. I thought for a moment and replied, “Because the dust has settled…?” Katibu tried not to look at me like I was a total idiot. Rain is not the same concept for me as it is for a pastoralist in East Africa. It is not salvation. There had been no rain for months on end and now that the rainy season was finally on its way, everyone’s spirits soared – to the point that strangers passing by would shout their joy at each other. Herders are having to travel further and further every year to find good grazing as the rainy season arrives later and ends earlier. According to the latest models, it can only get worse. But climate change is not the only factor. The best grazing areas are becoming prohibited spaces through the euphemistically termed ‘land encroachment’. 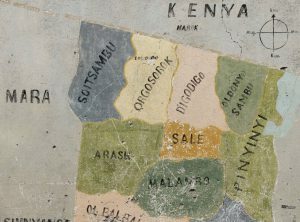 Land first became an issue for the Maasai in Tanzania in 1959 when the British, who ruled what was then-called Tanganyika until independence in 1961, expelled thousands of Maasai people, to make way for the Serengeti National Park, relocating them to Loliondo. At the time they made a promise that they would not have to move again and would be free to roam with their cattle there in perpetuity. 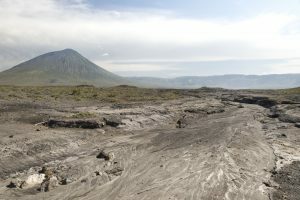 The post-colonial governments of Tanzania, however, did not feel the need to respect the British promise and in 1992, when the Emirati Defence Minister, Brigadier Mohamed Abdul Rahid Al Ali, asked to lease an area within the Game Controlled Area for hunting, the Tanzanian government granted his request. 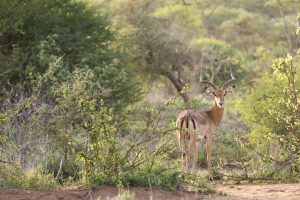 The permit allowed Al Ali’s company, OBC (the Ortello Business Corporation) to hunt in the Loliondo Game Controlled Area but explicitly stated that it did not infringe upon the rights of the people there to own, farm, graze and live on their ancestral land. But in the drought-withered year of 2009, the government’s Field Force unit evicted thousands from the area, burning hundreds of houses, displacing cattle and even children. Seven year old Nashipai Gume was lost in the chaos and never found again. International media caught on and an Avaaz petition gathered 850,000 signatures in under a week. 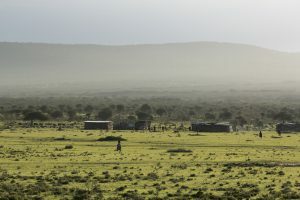 The evictions seemed to stall under international pressure, but in March 2013 Tanzania’s minister for natural resources and tourism announced plans to convert 1,500km2 of the 4000km game controlled area into an area exclusively for wildlife, meaning up to 20,000 pastoralists from Loliondo would have to move elsewhere and keep out. Over the years there have been continued arrests of human rights defenders and various Presidents and ministers have issued contradictory statements about the security of these peoples’ future, leaving them in a constant state of insecurity and anxiety. In November last year, the luxury hunting firm OBC issued a report detailing the declining wildlife population in the area, blaming the Maasai, and lamenting that “this has adversely impacted on the hunting activities, especially the quality of trophies and their availability”. In the report, they proposed the alienation of the 1,500 km2 completely from the villagers. It was following this report, that the Prime Minister set up a committee to “solve the conflict” and once again, the Maasai in Loliondo protested in their hundreds. 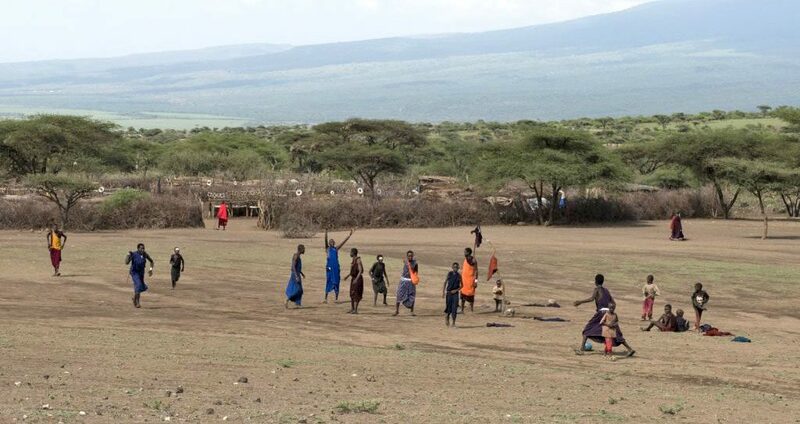 The local Maasai communities have been protesting OBC’s right to hunt on their lands since 1992. And in all this time, while houses have been burnt, while meetings and protests and petitions and newspaper columns have been filled, OBC has continued to fly in Saudi royalty and other elite clients to shoot the very wildlife which the Tanzanian government makes such a noise about protecting. Between terrible droughts and encroaching borders, the Maasai are faced with a desperate situation in which huge numbers of cattle do not make it out of the dry season alive. Everyone I spoke to had lost cattle. 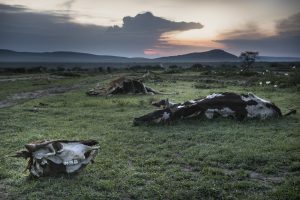 We saw carcasses on the roadside, where exhausted cows had just lain down to die. Those still standing were stumbling ribcages. This was before Tanzania began evicting people from the 1500 square km of good pasture. 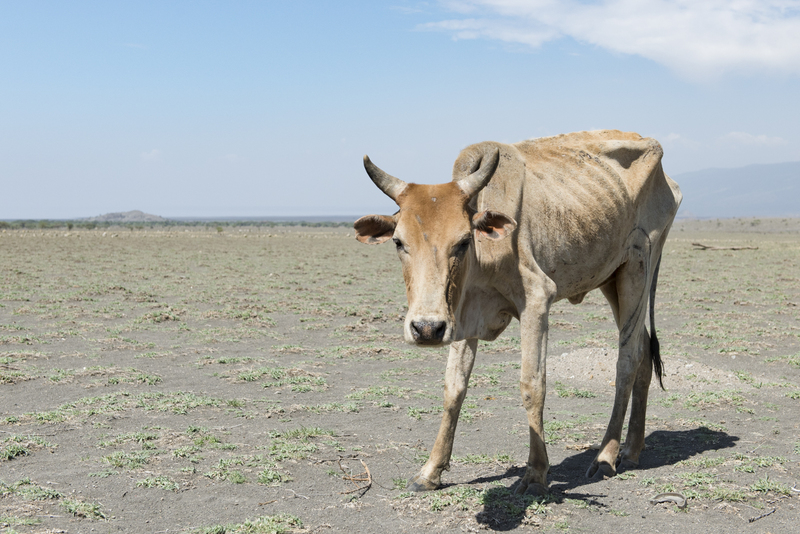 There is now an even smaller region in which it is possible to graze and that land is becoming increasingly arid. But the fact is, I live in a world in which (for the time being at least) I don’t rely on owning land to satisfy my basic needs. If a Maasai cannot reach grass, his cows will die. Without livestock a Maasai no longer has a livelihood. Without livestock a Maasai is no longer a Maasai.